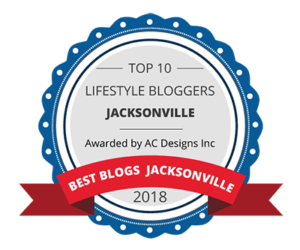 Applebee’s Bigger and Bolder Grill Combos and a Giveaway! We all have our go-to restaurants and usually they’re our go-to because we can always count on them to have exactly what we’re looking for. At least, that’s the case for me. I do, however, love it when restaurants add new items to their menu, along with fan favorites! 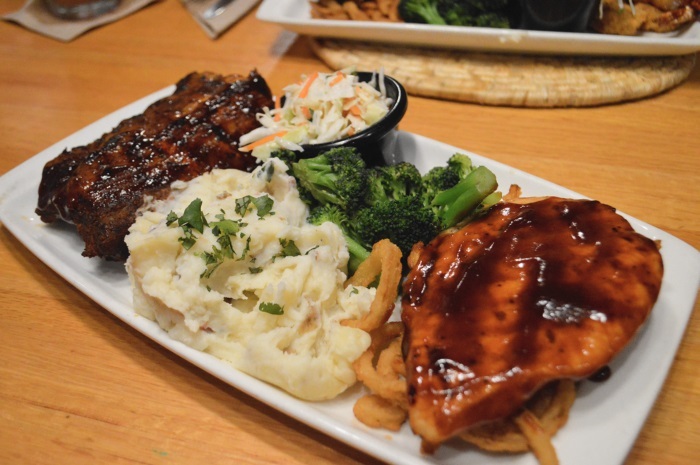 Applebee’s has always kept up that element of surprise by providing their patrons with new menu items through out the seasons. I am loving the Bigger and Bolder Grill Combos that are new to the menu! Right in time for summer, we can now enjoy a delicious and filling meal, choosing from five big and bold combinations, with some of your favorite sides, for as low as $12.99! I recently stopped in with my bestie to try a few things from the new Bigger, Bolder Grill Combos and we had a wonderful time! Our host, Jason, was so delightful and so was our lovely waitress (who’s name I can’t remember..so sorry!). They made our dining experience enjoyable which is always appreciated. They were very attentive and provided us with great recommendations. All though there are a few new appetizers on the menu like the Brisket Quesadillas, we had to start with my all time favorite appetizer, the Chicken Wonton Tacos! Those things are crack! 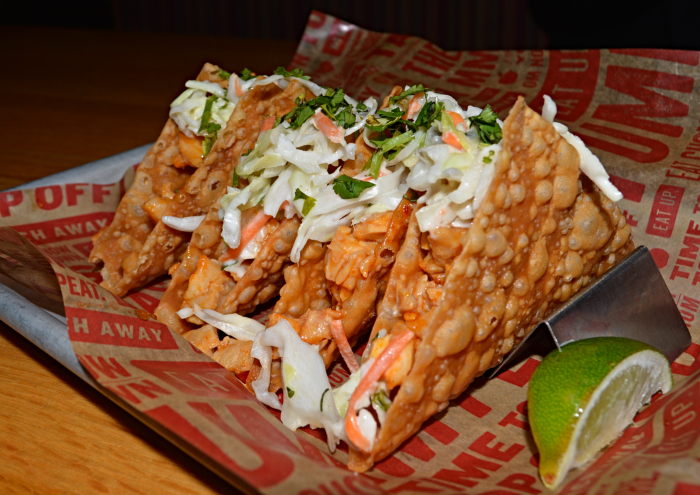 I’m so happy they are a staple on the Applebee’s menu! I’d be so sad if they ever took them away! As I mentioned earlier, we stopped in specifically to try some of the new Bigger and Bolder Combos, so for our main entrees, that’s what we enjoyed! I decided to go with the 1/2 Rack Baby Back Ribs with Grilled Whiskey Chicken Breast. 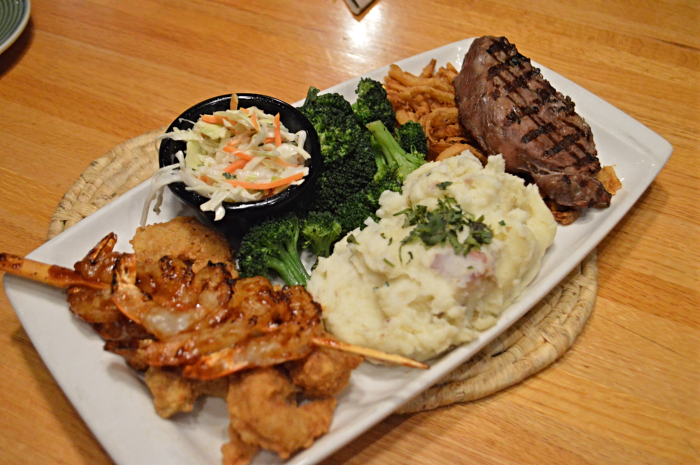 All of these combos come with a standard serving of broccoli, coleslaw, mashed potatoes, and onion tanglers. They were great compliments to the dish, especially the onion tanglers. The broccoli was prepared just like I like, with a little crunch! The ribs were super tender and I really enjoyed the Whiskey BBQ sauce on both the chicken and ribs. I’d definitely order this dish again. Krystle ordered the Grilled Shrimp Skewer, Crispy Shrimp, and 6 oz. USDA Select Top Sirloin. Of course I tasted her food and though it was all good, my favorite were the crispy shrimp! They were juicy, plump,and flavorful! She enjoyed everything as well! There was nothing left on either of our plates by the time we got through everything! 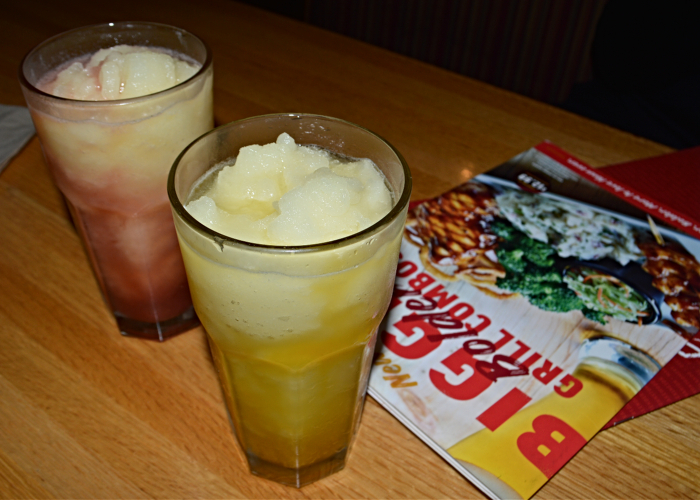 I almost forgot to mention that the Frozen Lemonades are also new to menu and are the perfect refresher in this Florida heat! We tried the Mango and the Wild Berry flavors and they were delicious! We jokingly mentioned they should be spiked but in all seriousness, these would make bomb frozen cocktails! 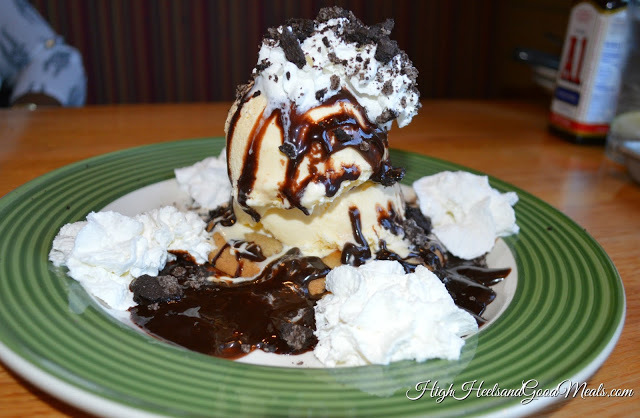 Applebee’s graciously agreed to sponsor a giveaway for a Dinner For Two, gift certificate to one of my fabulous readers! There are only a couple of stipulations and rules for the giveaway. 1.) The gift certificate will only be valid at Applebee’s locations owned and operated by Doherty Enterprises in Florida, Georgia, New Jersey, and Long Island. 2.) Comment below telling me which new Bigger & Bolder Grill Combo you would be the most interested in trying! Leave your email address as well. 3.) Of course, you should be a follower of mine here and on any of my social media pages to be qualified for the giveaway. That’s it! The giveaway will run until next Thursday and I will notify the winner next Friday, May 25, 2018. To end on a sweet note, this was just a little something extra because you can’t have a meal with out dessert, right?!?!? It was the Chocolate Chip Cookie Ice Cream Sundae and it was seriously EVERYTHING!!! Just looking at this made me tell myself to run an extra mile this weekend! as always, thanks so much for stopping by! Haha, never thought I'd see an Applebee's post from you! I guess there's no discriminating when it comes to food! 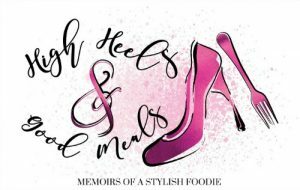 High Heels & Good Meals! 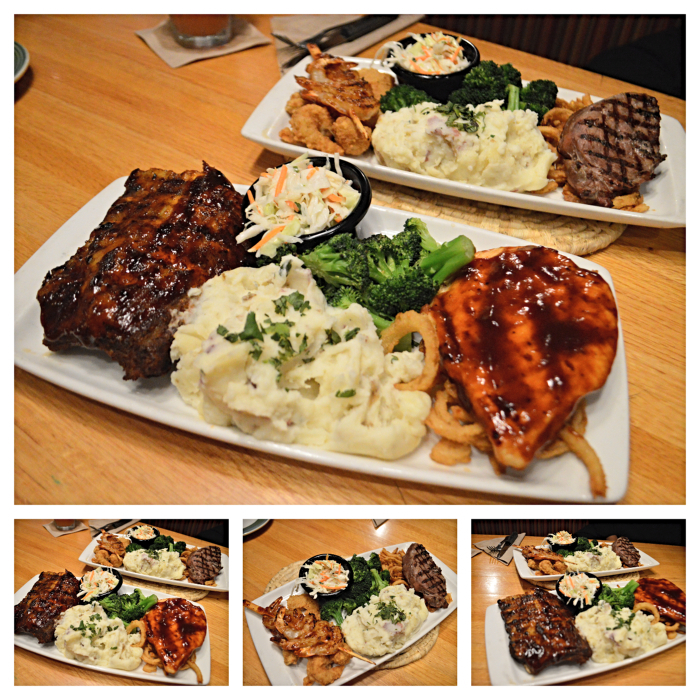 It's hard to pass up a comp'd meal. Nope, sure won't discriminate lol.